Malnutrition is a serious concern in Zambia, where roughly half of all deaths among children under five are attributed to maternal and child undernutrition. Stunting is widespread in Zambia, with the most recent Demographic and Health Survey (2013) revealing that forty percent of the population under the age of five is stunted, while wasting stands at 6%. Large numbers of Zambian children suffer from nutrition-related disorders such as low birth weight, wasting, being underweight, chronic malnutrition, and various nutrient deficiencies. 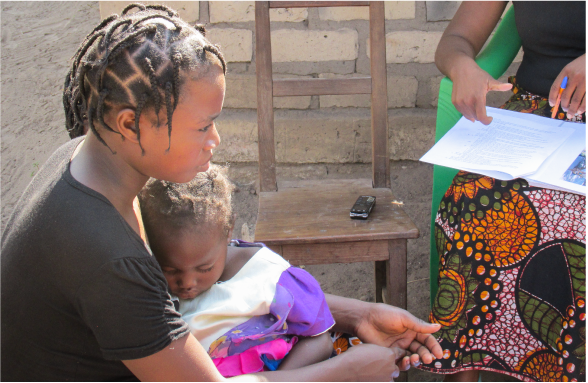 In an effort to address this, the National Food and Nutrition Commission (NFNC), in coordination with several donors including the UK's Department for International Development (DfID), developed a three-year bundled, multi-sector program called The First 1000 Most Critical Days (MCDP) in order to address Zambia’s child undernutrition. Care, in conjunction with the NFNC, coordinates the implementation and delivery of the program in 14 districts across Zambia through several ministries. The program targets households with pregnant women or children under 24 months and includes a package of activities that focuses on maternal and child nutrition and health. DfID Zambia contracted AIR and its partners, Palm Associates and the University of North Carolina at Chapel Hill, to conduct the evaluation of the MCDP. The evaluation of the MCDP is a two-year, mixed methods, non-experimental design that includes three components: a rapid qualitative assessment, a process evaluation, and an impact evaluation. The purpose of the evaluation is to learn if and how the program impacts the lives of pregnant women and children under two years old for an array of outcomes including young child nutrition; health, water, and sanitation practices; and the use of health-related services.